Chatting with your clients makes them buy more. This module integrates Skype into your OpenCart store. 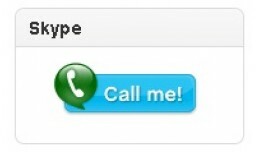 All you have to do is to enter your Skype ID in Modules->Skype. Make sure Allow My Status To be Shown on the Web is enabled: From Mai..
By default, Related Products are hidden from customer in Related Products tab, thought they generate lots of orders. This extension creates a new module: Related, which helps you manage Related Products and their position in product's pages. 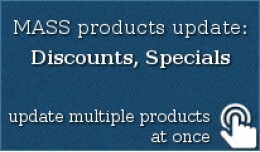 ..
You can update Products Discounts and Products Specials for multiple products at once, from admin page. It works with an infinite number of products. 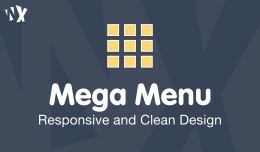 You can filter products by the following conditions: - Product Name - Product Tags - Mod..
Mega Menu allows you to create a menu with an innovative user interface and It's changed the Opencart default menu system management with advanced features. Mega Menu has many different color options so you can match up this with you..
Removes contact location and telephone from the page contact. 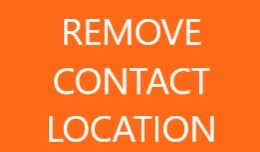 Also, removes the telephone on the header, replacing it with a link "contact us". 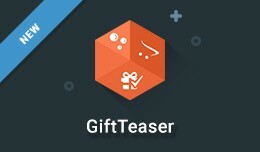 Tested only in default theme No files are overwritten, simply upload one file and that's it. 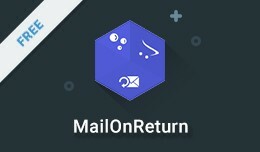 ..
MailOnReturn sends out a new email for each product return request on your store. 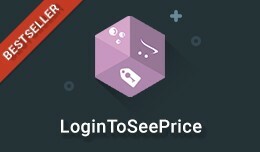 The email contains handy info such as customer name, email and phone, the order ID and the order date, product name and model, as well as the reason and comm..
LoginToSeePrice is the easiest way to hide the prices of specific products from non-logged-customers. The module allows you to choose specific products, products assigned to specific categories or products from specific manufacture..
LastViewed is a light-weight module that shows the products that were recently viewed by a user. This way, a user can always come back and see what they saw previously. 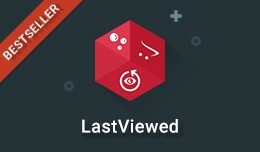 A wonderful tactic that will improve your web store usability ..
LastViewed - Display the Last Products Viewed by.. There are hundreds of thousands of articles written on the power of FREE and how marketers utilize it. Spend hundreds more just so you can get a free gift or a pair of headphones. 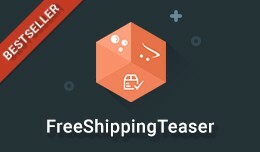 GiftTeaser is a great tool to boost sales by offering..
FreeShippingTeaser is the best way to keep customers spending more and more until they get a free shipping. Research shows that customers are willing to spend as much as 1.5x the amount they are willing to spend normally, when prompt..
Embed and promote your Facebook page in your OpenCart store with FacebookPagePlugin. 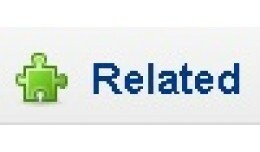 Your visitors can like and share your page without having to leave your store. 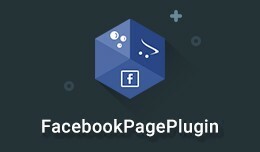 The module comes with powerful control panel so that you can adjust the pag..
FacebookPagePlugin - Promote your Facebook page ..
Is there a product that you are interested in? But not on this price of course. Inspired by Amazon Price Tracker, PriceAlert from iSenseLabs helps your customers keep an eye of desired products and get notified when the price drops. Th..
PriceAlert - Allow Customers to Keep an Eye on P..
Research shows that 30% of your store visitors are prone to adding a last minute impulse item to their cart if they are presented with a relevant product that compliments their purchase. PopupUpsell gives you the advantage to upse..
ErrorLogManager is a next level Error Log Manager for OpenCart. 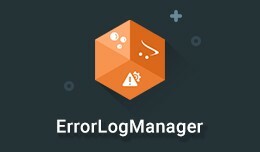 It still helps you keep track of errors as they come but gives you much more control, flexibility, grouping and for the first time - allows you to take actions for fixing the ..
ErrorLog Manager - The Intelligent Error Log Man..
Customize your checkout success page, add customer value and increase conversion. Stand apart from your competition by providing a unique order success experience. 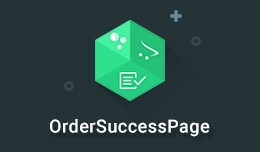 Not only will customers be able to view details of their order but al..
OrderSuccessPage - Customize your Checkout Succe.. Allow customers to activate their new accounts by email. 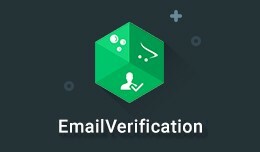 EmailVerification adds a new layer of security to your site by preventing bots from registering multiple accounts on your site. 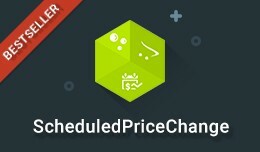 Once a user creates an account on your OpenCart websi..
EmailVerification - Activate New Registered Acco..
ScheduledPriceChange is a wonderful way for planning discounts and future promos in your OpenCart store. Inspired by the old SIMS clothing stores, this module is wonderful for any business that has a rapid turnover of very limited st..
ScheduledPriceChange - Change Price on a Selecte..
DiscountOnNextPurchase is the easiest way to keep customers coming back for more. The module allows you to send a unique coupon code after a purchase. 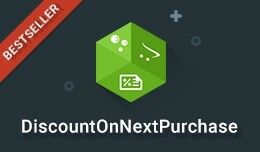 The admin can track the sent/used coupons and choose order status to send a coupon c..
DiscountOnNextPurchase - Email Discount Code Aft..